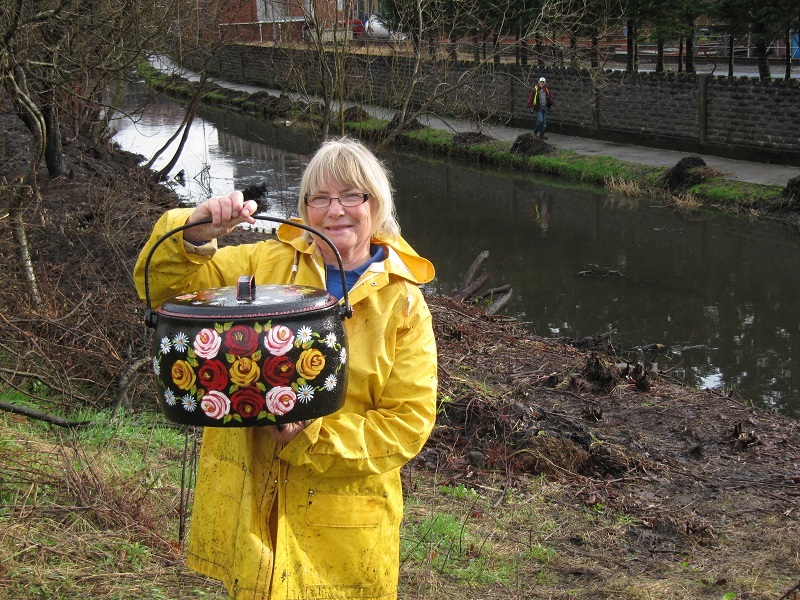 Gordon has donated his grandmother’s old iron pot to the Society and Sue took the time to clean it up and paint it in authentic canal patterns. 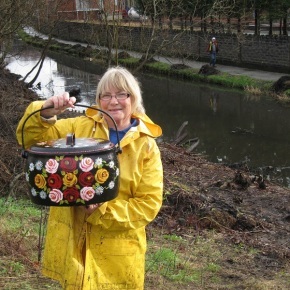 We thank Gordon, his grandmoather and Sue for this excellent re-cycling project. 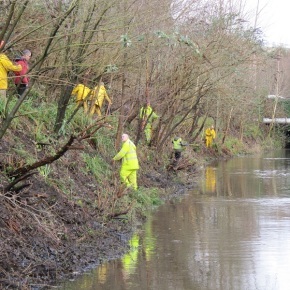 We worked on the very last fifty yards of the Clydach Lock to Clydach Aqueduct section of the canal. 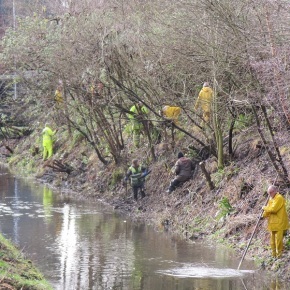 What a sight it is now with the vegetation cut back to the edge of the canal and all the weeds removed from the channel. A big thank you to all those who have helped us in the last eight weeks on this transformation. 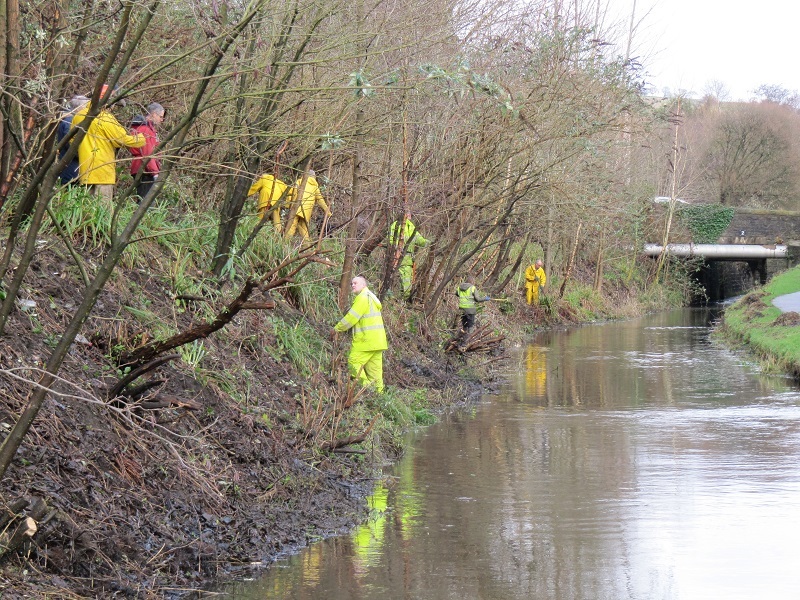 We will tidy up next week as there are still two or three outstanding jobs there but we can now look forward to moving to a new section of the canal. Previous postTHE WEEK AHEAD: 17TH JAN TO 23RD JAN 2015. 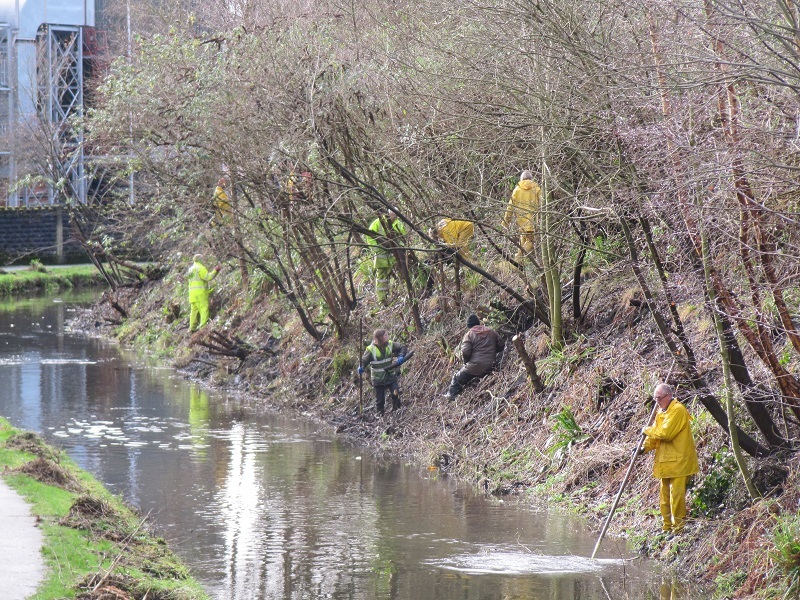 Next postWildlife Habitats along the Canal.